We were all young once, and can attest that young people make mistakes all the time. However, when those mistakes result in criminal charges and/or convictions, it can have serious life long repercussions. If your child has been charged with a crime, it is important to seek the advice from an attorney familiar with Bixby Juvenile Crimes Defense. Being a parent is hard. Parenting teenagers and young adults is especially challenging these days. When your child gets into trouble, it is often difficult to know how to proceed. The goals of the juvenile justice system, at least in theory, are somewhat different than that of the adult system: for children, the primary goal is supposed to be rehabilitation to get them on the right track, not harsh punishment. We understand that a juvenile criminal conviction can have lasting repercussions and will fight aggressively to give young people in the Bixby area and across Oklahoma a fighting chance at keeping their criminal records clean. The first thing to know regarding Bixby Juvenile Crimes Defense: The police CANNOT speak to your child without your consent, so make sure you don’t give consent. Call an attorney immediately. Don’t compound your child’s mistake by making one of your own. Unfortunately there are a lot of obstacles that stand in the way of your child’s successful rehabilitation: district attorneys too quick to charge a child with a serious crime; judges too willing to detain a child or sentence him to a lengthy detention sentence; alternative schools that can function as a virtual pipeline to jail; and colleges or employers that ask juvenile applicants if they have ever been charged with a crime. A criminal attorney from our firm can ensure that your Tulsa criminal defense is thorough. In many juvenile cases, negotiating with prosecutors for reduced charges or to get first-time teenage offenders into a diversion program rather than jail is (typically) a possibility. However, there is no time to delay. We offer free consultations and have payment plans available. There is no reason not to obtain a confidential opinion regarding your child’s case. 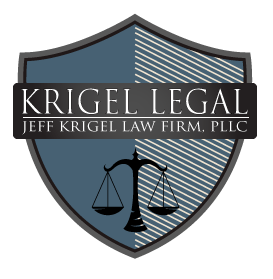 With the help of an experienced Tulsa criminal attorney at your side, you can rest assured that every possible step that can be taken towards your desired outcome WILL be taken. There is no need for you to attempt to navigate your way through the language of the law by yourself.